Concordia and McGill Collaborative Field Trip to MIT and Boston University. Oct 2011 The IEEE Vancouver Section receives a Special Grant to assist in funding their Centennial Publication, This publication is to focus on the history of the Vancouver Section and the to celebration the 100th anniversary of the founding of the section. The publication is intended to be educational, forming a milestone in a series of publications on the Vancouver Section history and will provide a precious keepsake for members. The publication will contain a reprint of earlier history about the Vancouver Section and a new article updating the more recent history and a summary of centennial celebrations. The image shows their new logo. Sep 2011 Susan Ryan, employed by Newfoundland Hydro, is the recipient of the 2011 IEEE Canada Women in Engineering Prize. Susan graduated from Memorial University of Newfoundland and has been active in her IEEE Student Branch, her Section, and a number of non-IEEE volunteer activities. She is to receive her prize at the upcoming Section AGM. 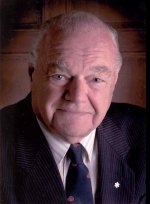 Aug 2011 The IEEE Canadian Foundation is sad to record the passing of one of its founding members, Wally Read, on 15 August 2011. Wallace Stanley Read was born in Newfoundland 18 April 1930. For many IEEE volunteers in Canada and worldwide, we have lost a dear friend and a guiding light. For more information on his illustrious career, please use this link , and this link for his IEEE Oral-History. Jun 2011 Emily Landry receives her $5,000 IEEE Canadian Foundation Scholarship from ICF President Bob Alden at one of the IEEE Vancouver Section Centennial celebration events - From Softwood to to Software - on 27 June 2011. 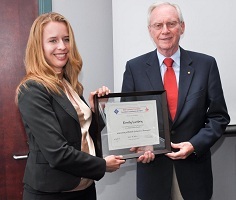 Emily played a vital role in the establishment and initial management of the IEEE McNaughton Learning Resource Centre at the UBC Okanagan Campus. Jun 2011 The IEEE Canadian Foundation program of establishing IEEE McNaughton Learning Resource Centres (with grants to establish and upgrade centres) was voted one of the top three initiatives worldwide at the annual IEEE Student Activities Committee meeting in Seattle, WA, 3-5 June 2011. - receives the report of the Grants committee summarizing that in 2010, the IEEE Canadian Foundation awarded 3 Scholarships, 5 Learning Centre Upgrade Grants, 16 Special Grants, 1 Women in Engineering Prize, 1 Vehicular Technology Travel Grant, 1 Power Quality Scholarship, 2 IEEE Canadian Foundation Qu�bec Science Fair Prizes and funded 3 IEEE Canada medals - totaling $56,145. Feb 2011 The IEEE Canadian Foundation receives a $1000 donation from the Victoria Section. Jan 2011 The IEEE Canadian Foundation Executive Committee approves a grant of $1,500 to support the first IEEE Canada Women In Engineering conference to be held on 30 April, 2011 at the Delta Meadowvale Resort and Conference Center in Mississauga, Ontario. Jan 2011 IEEE Canada announces that it will present the M.B. Broughton Central Canada Merit Award to Maike Luiken of London, Ontario on May 9, 2011 at the annual Awards Banquet in Niagara Falls, Ontario. Maike served as chair of the Ottawa Section in 2005 and is currently the chair of the London Section. She is a director of the IEEE Canadian Foundation and the chair of the Section Liaison Committee. Dr. Luiken is the Dean of Sustainability and Applied Research at Lambton College of Applied Arts and Technology in Sarnia, Ontario. Jan 2011 IEEE Canada announces that it will present the W.S. Read Outstanding Service Award to Kash Husain of London, Ontario on May 9, 2011 at the annual Awards Banquet in Niagara Falls, Ontario. Ashfaq (known as Kash) Husain has a long history of volunteer service to IEEE. He served as chair of the Canadian Atlantic Section in 1993-94 and the London Section from 1999 to 2006, after serving in many other positions. 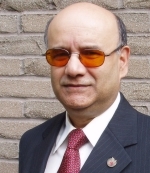 Within IEEE Canada, he has served as the treasurer of several conferences and chaired the IEEE Canada Conference Advisory Committee from 2007 to 2009. He has been a member of the IEEE Canadian Foundation since 2006 and is currently a member of the Development Committee. Mr. Husain is a consulting engineer with Dillon Consulting.